Bec Goddard's involvement in the recent men's IRS series could be a good indicator to who might coach the Australian team if it was to go ahead in 2018. Don't know if any body has thought of this idea before, I've not seen suggested up til now. Instead of having a Inter Rules women's series try to get an "World Eighteen" team together and have them play each/or some of the State Women's teams and play AFL(Aussie Rules). The matches could be played in conjunction with or as curtain raisers/closers to the AFLW games. Closers are better cos' already got a crowd. 2: playing weaker state teams initially gives World Team chance to be competitive and maybe even win. eg. play Queensland , NSW and Sth Australia initially. 3: puts international women's footy into the face of "unaware/ignorant" Aussie fans. ie. raises awareness in Aussie. 4: huge boost to women's footy outside Aussie. opens gate to pathways to AFLW for international players. 5: there is a handful or so of "World" players already in the country, will help reduce the cost, and an already named World team (IC World Team) to whom invitations could be extended almost immediately ready for 2018 AFLW season. 6: "World" team players could be on same planes/hotels as AFLW teams in Aussie. help reduce cost. 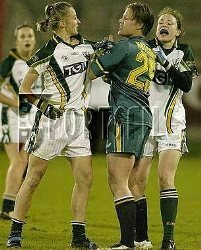 7: Aussie girls able to play for State/Country same as playing an Inter rules series. 8: Inter Rules dislikers can't winge. 9: Help! me guys! there has to be more positives to/for something like this. 1: Cost Too Much. altho' an InterRules series will cost money too. 2: Not needed because Australian Players get nothing out of it because they will thrash the World Team. Standard gap too wide to do any thing about. 3. Not helping AFLW grow so not necessary. 4: International Women's Footy not important/big enough to support at present, leave this til later in ten years or so. (when Rating gap would have grown so large) so no longer viable or worth worrying about. Australia First advocates. 8: International players won't be interested or have enough desire to come and play in a series like this. cost too much for them, get time off work, (have had that one trotted out already) Mind you I reckon you could get more than full side of girls/women from around the world who would do anything (Short of robbing a bank) to be part of, say, a three week tour as I'm suggesting. Maybe we can convince the international women's footy community to lobby Nicole Livingstone to go down this road rather than an IR road. Certainly money is not available or forthcoming for both roads to be taken..
What say Ye, Guys & Gals! Connections, Connections! Tash, Troy, Brett, Harley, Ben and Lisa(AFL Europe) AFL Oceania equivalent(sorry pensioners disease kicking in) AFL Canada and AFL USA , anybody, everybody get on her bike NOW. Nicole's that is. Probably won't happen in 2018 but just might squeeze it in to convince AFL it is worthwhile by AFLW season 2019. Everybody's thought of it I think Cam. But there seems to be little appetite for it. Generally most I have spoken to think it would be massively one sided. It is hard enough to get unified teams together nationally let alone a world team. The obvious time would be at the end of the IC, but then everyone is beat up and really need to go home (some fly out the night of the last game). And there is no one even looking to get a team together to play a world team. While it might one day, in a very long time, be an elite contest that can happen I can't personally see any progress any time soon. 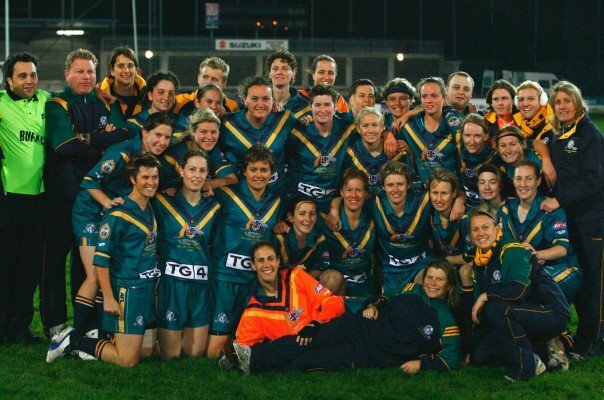 With some planning, an Australian Womens Australian Rules team could tour, but instead of playing International Rules, they play Australian Rules, get the Irish Gaelic Women and Irish Australian Rules Women players to form an elite Australian Rules football team to represent Ireland. If there are women Gaelic players in the US, they could coax players to play international representative Australian Rules there as well possibly. The AFL, and now the AFLW just need to push a bit more I reckon. 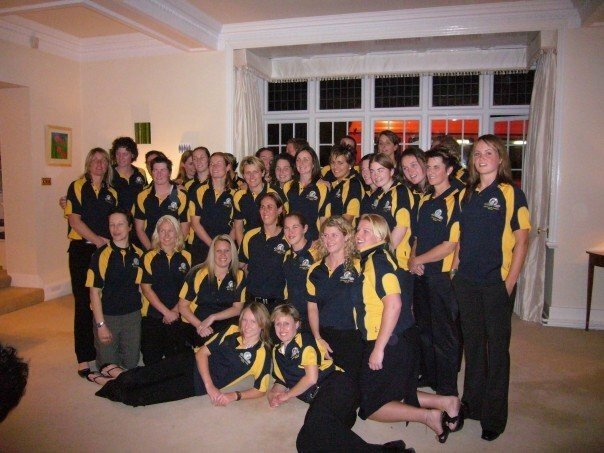 The Australian Women could play a combined Great Britain as well. So what if they thrash them, it's an international on the board, and there could still be some good publicity in both Australia and GB. The match would be a 'friendly' after all. Perhaps the European women's teams need to get together and lay down a friendly challenge to Australia, maybe a well produced youtube video suggesting the AFLW doesn't look too shabby but they're not sure how well the Aussies would do travelling to the other side of the world to take on Europe. It might be if the AFL finally decides what version of reduced numbers they will push (they've tried Recfooty and AFL9s and now it's going to be AFLX) then the challenge could be Europe vs Australia, AFLX-W at Croke Park or somewhere like that. With the big following Gaelic has in Ireland I reckon it would draw a crowd, if the GAA allowed it. By being 8-a-side or whatever the European lack of depth is less exposed. It'd still be very one sided but the challenge would still (arguably) need to be met. It may be that the side would feature they best 2 Irish women (footy), best 3 Gaelic, best 2 GB, best 3 from rest of Europe. Or maybe it's a North vs South challenge, or North (Hemisphere) vs Australia... are the girls from Down Under afraid to face the North? Then you'd be looking at say the best 2 Gaelic players, best 2 Irish, best 2 GB, best 2 Canada, best 2 USA, there's your squad of 10. It could be World vs Australia, but maybe seems too broad and might make it harder to bring the team together for some training. Part of me thinks it'd be a whitewash, 300-0 (we saw how badly the Allies did against Victoria recently). But part of me wonders, fired up for a one off, with some time to train together, shortened field, the best 10 women in the world including a couple of the elite Gaelic players, Croke Park, just maybe the North would put up a solid show, enough to not make it a joke. Find a sponsor to cover the basic costs then why not try it? I don't think the Aussie women would say no, the internationals wouldn't. So there's the target, AFLX Women's, the Northern Challenge, aiming for a match end of the coming AFLW season. Dare to get on the plane Aussies? Why does it have to always be "AUSTRALIA" in this debate about playing a "World" team? In Rugby and Soccer, England, Scotland, Wales, Ireland all play as separate entities, SO why at this stage in developing International Australian Football (AFLW in particular) can't we have each of our states taking on the other countries and "World", "Europe" combinations in these sort of matches and why not keep them all playing Aussie Rules, and not resort to Gaelic or Inter Rules. AND spend the money getting the international teams to Australia and have these matches played as curtain closer's to the AFLW games, not spending it on sending the Aussies to Ireland etc. YOU already HAVE a Crowd here. Its NOT the International Aussie Footy community that needs convincing that Aussie Rules IS now an internationally played sport, but the Australian AFL Footy community/fans who in the vast majority I believe have absolutely no idea of the extent of how much Aussie rules is being played overseas. AND DO IT NOW, not wait til the AFLW gets settled/bigger/stronger years down the track and leaves the rest of the world even further behind. I have always supported the IRS concept because it allows international competition and while it provides self-funded entertainment .it should continue. Importantly it has facilitated much inter-code contact at amateur level. However i'm totally confused by the lack of leverage out of these games. 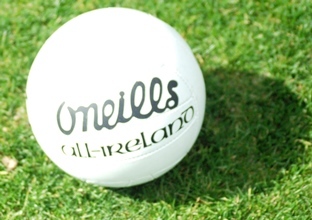 At the last test in Perth there was junior GAA demonstrated at half time, whilst I don't know of a red ball coming out at all in Ireland. Also we had the recent VFA team visiting Ireland yet didn't play AFL. That was left to until London. If IRS is going to continue let's at least attempt to leverage a junior match or an exhibition game out of it in the men. Women everywhere are providing magnificent opportunities for growth. The AFLW has been a totally magnificent development but it could be even so much better. W.r.t IRS I would see a women's series as potentially a much better promotion and leverage opportunity than the men for a lot of reasons.IMO we should have a women's IRS but only if we attempt to leverage Australian Football growth. Whilst I'm in favour of IRS fpr women I believe some sort Australian Football competition featuring women from around the world be more beneficial in continuing the advancement in women's football. .